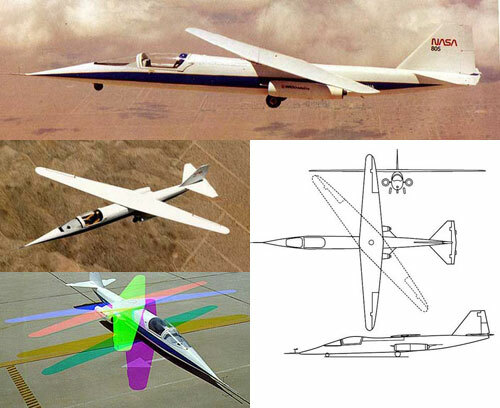 You guys should make the AD-1 Oblique Wing NASA experimental plane. I am not sure if it would scale down well, but you could probably freak out your friends ("DUDE U JUST DESTROYED YOUR WING! "), then laugh as it keeps flying. Peter I think this is right up your alley. Feel free to add rocket boosters too. I read somewhere that it was designed to allow easier supersonic flight, so, maybe that is scaled down to f motors or something.